I have a problem in my house, its botanical name is Cucurbita pepo a.k.a. courgettes. Most sensible gardeners advise that you don’t need more than 3 plants. However I always plant 6 assuming that at least some will be devoured by slugs. This year all six survived and I am harvesting in excess of 30 courgettes a week! I have tried this recipe with a variety of other vegetables. Carrot and chard were also very successful. 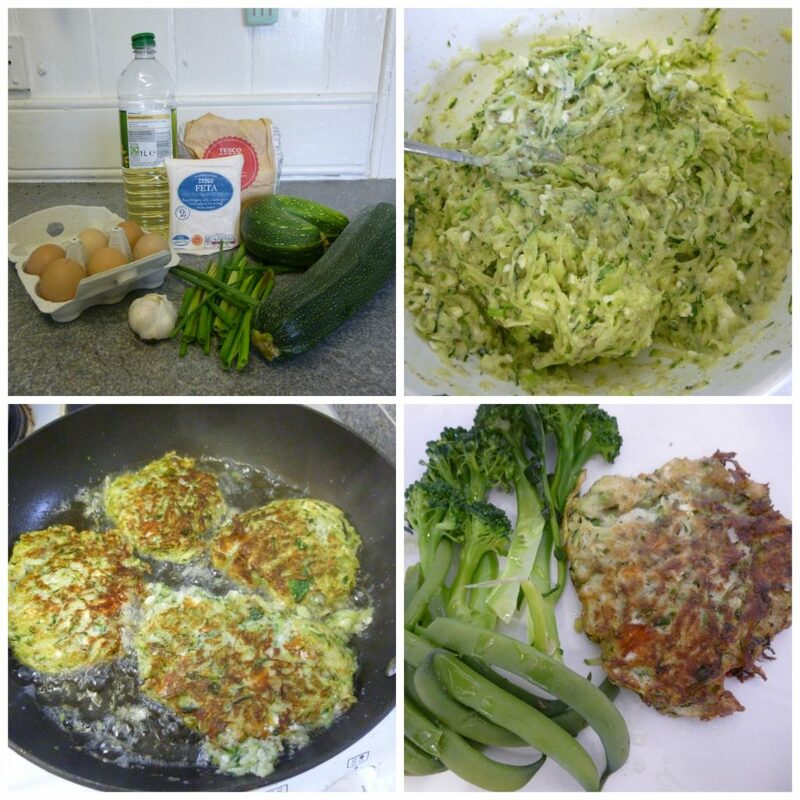 Lots of people have asked me ‘do courgettes provide any nutrition?’ i.e. what is the point of them! According to Wikipedia they provide ‘useful’ levels of folic acid, potassium and vitamin A.
Courgettes are tender so cannot be planted out before the last frosts. This is usually mid-May to early-June in Edinburgh. To get an early start sow the seed in mid-April in pots in greenhouse or on your windowsill. Once the risk of frosts has past and the plants have developed a few leaves it is time to plant them out. They will need to be ‘hardened off’ first. Gradually acclimatise the plants to outdoor conditions by taking them outside for progressively longer periods of time. Courgettes like to be pampered. They need full sun, rich soil, ample water and plenty of space (plant them 90cm apart). 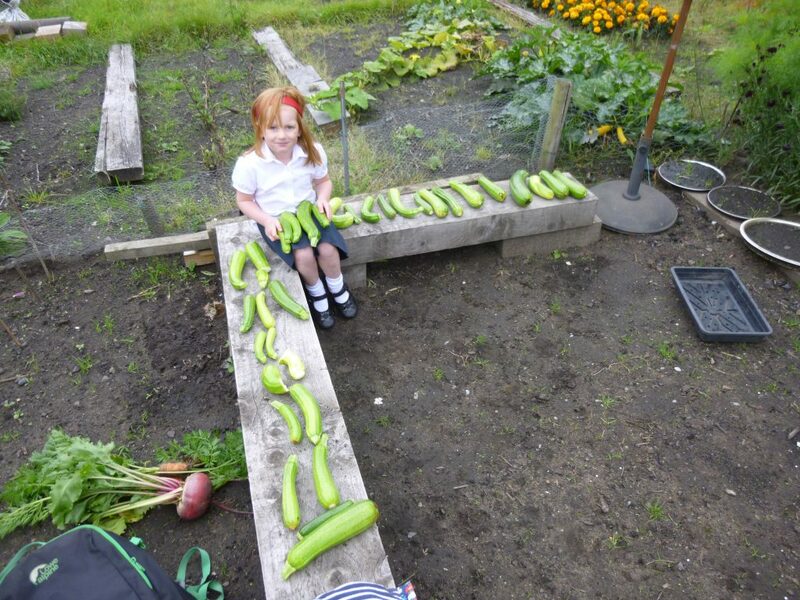 Despite this they grow very well in Edinburgh. They are susceptible to slugs early on so try and protect them. Powdery mildew usually affects them later in the season. Remove the infected leaves to minimise the spread. 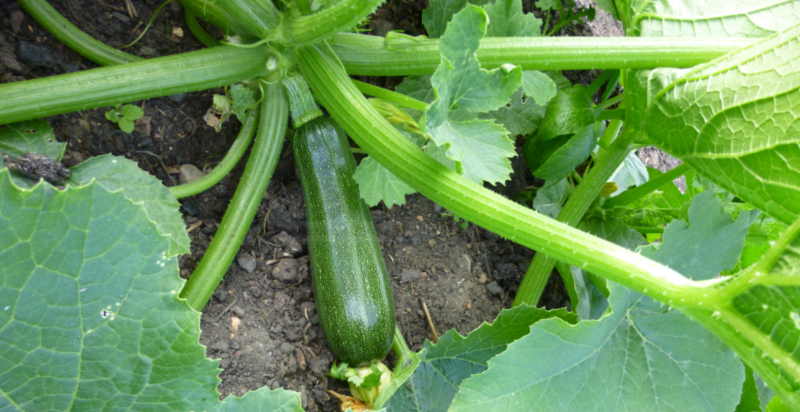 If planted in early June the courgettes should be starting to crop by the end of July. Remember to pick them regularly to prevent them turning into marrows!